Mohu AirWave Announced: Stream OTA to Your Devices | Nerd Much? As someone who has been a cordcutter for over four years, I always get excited about new products aimed at those who want to rid themselves of the burden of a monthly cable bill. Mohu, of course, has been on our radar for quite some time, and full disclosure, we have a Mohu Leaf in the house and use it whenever we need to watch network shows (or the NFL) live. Today, the company has unveiled their latest device, the Mohu AirWave, and it sounds like a promising way to rid yourselves of having to switch inputs whenever you want to watch broadcast TV. 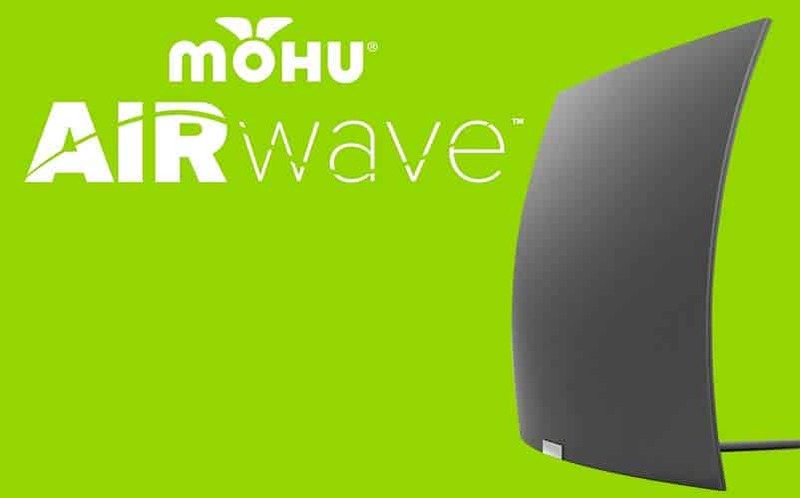 So, what exactly is the Mohu AirWave? It’s a new OTA antenna that basically turns OTA broadcasts into IPTV streams so that you can stream the video via WiFi to its apps on Android, iOS, Roku, Fire TV, Chromecast, Apple TV, the web, and more. Basically, Mohu is touting “free” TV everywhere you are (although, free when you factor out the initial cost of the device [$150], of course). The Mohu AirWave will not only add local TV signals to the viewing experience, but the device will also create a guide that incorporates TV broadcasts with content from various streaming services as well. Best of all, you can place it anywhere in your home (as long as there’s Wi-Fi in that spot). This is an improvement on the rest of the Mohu line, as you need to place them in specific spots in your home for the best results. With the Mohu, again, you can place it anywhere. Want more of the latest cool stuff from this year’s CES? Stay tuned to Nerd Much?